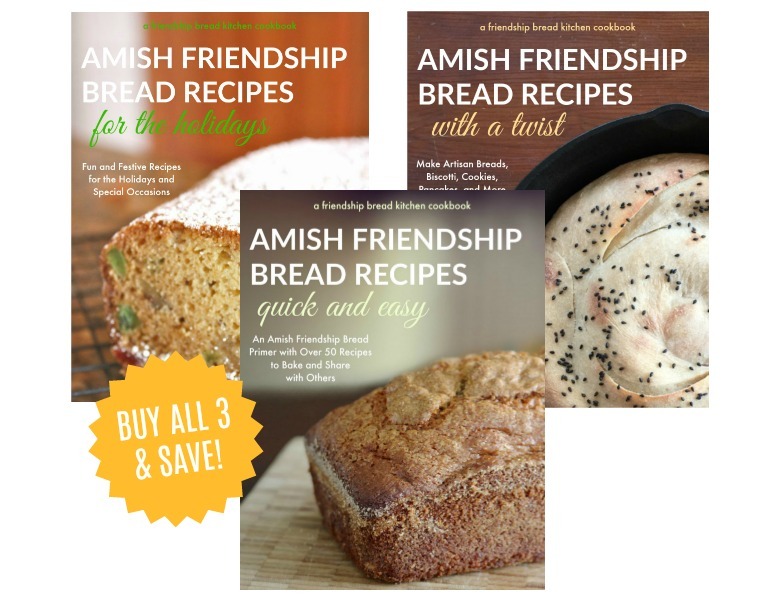 A quick and easy recipe for Amish Friendship Bread Biscuits that will go with any meal. 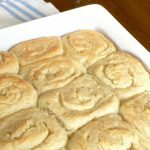 If you don’t have a rolling pin handy, flour your hands and use them to pat the dough to the desired thickness–the dough will be sticky. 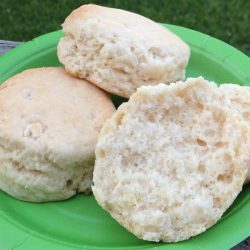 You can also use the mouth of a clean jar (finally a use for that leftover jar of spaghetti sauce jar) to cut the biscuits, dipping the jar occasionally in flour to keep the dough from sticking. Preheat over to 325° F (165° C). Combine all wet ingredients except butter in a medium-size bowl. Combine all dry ingredients in a larger bowl and make a well in the center. Pour the wet ingredients into the well and whisk until the dough begins to pull away from the sides of the bowl. Transfer dough mixture to a lightly-floured surface and roll (or pat with your hands) to 1/2-inch thickness. Using a 3-inch round cookie cutter, cut out biscuits and place on lightly greased cookie sheet. 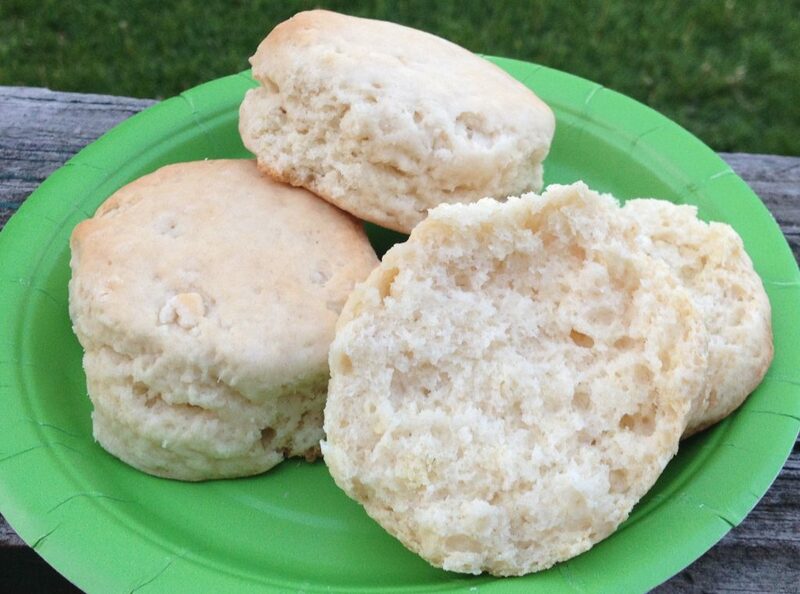 Brush the tops of the biscuits with melted butter. Cover loosely with oiled plastic wrap and let rise for 30 minutes. Bake for 15-20 minutes, removing when the tops are lightly browned. Serve immediately. 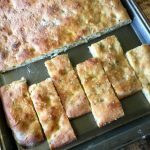 Could this recipe be used for pizza dough or bread sticks? Since there is only one of me, I make two batches up and then after cutting them out, I wrap them in parchment paper and freeze them. Then I take out one or two biscuits from the freezer to cook up with my meal. Always fresh and always tasty! Thanks for the info–I was wondering how these froze! Thanks! I was wondering if they could be frozen. 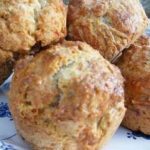 I whisk these up now to add to soup as dumplings…they fluff up amazingly in a crock pot in about 20-30 minutes. I also use this dough as a topper for chicken pot pie in the oven. 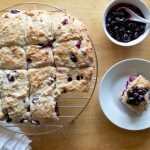 It is easy to handle and adds a deliciously sweet crunchy topping that the kids love.